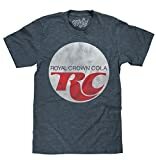 Royal Crown Cola (called RC Cola) is a drink with a 100 year history. The brand is currently managed by Cadbury Schweppes Americas Beverages and the Dr Pepper/Snapple Group. 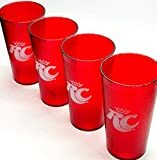 However, very few of these are currently available in every market. 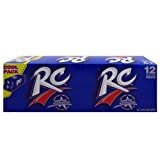 RC Cola contains 3.58 mgs of caffeine per fluid ounce (12.12mg/100 ml).